There’s an incredibly easy way to tell my twin sister and I apart for those with keen powers of observation. It’s not her centre parting or the fact that my face is slightly more heart-shaped. Or that I have bigger feet and she got much better GCSE results. 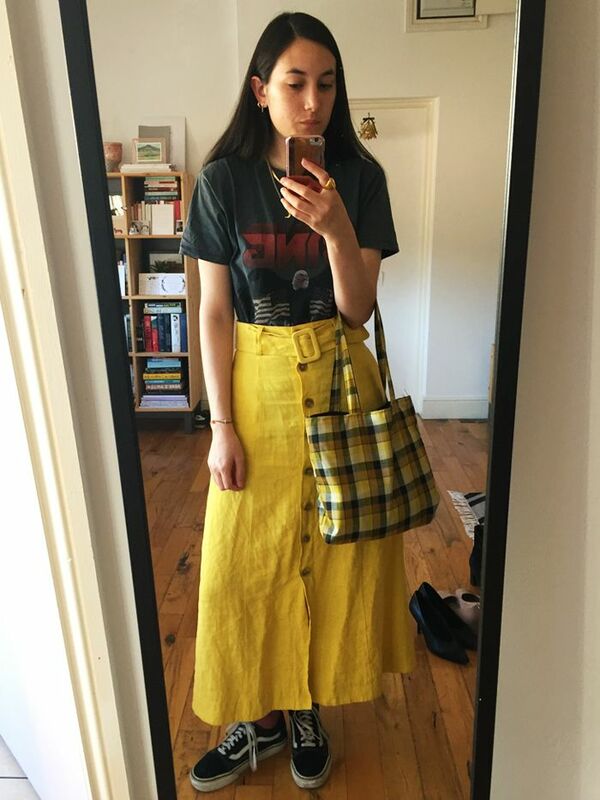 It’s our clothes: I’m probably not a bold dresser compared to dyed-in-the-wool maximalists like Iris Apfel, Lucinda Chambers, Anna Dello Russo and Susie Lau, but my wardrobe is definitely, say, fruity compared to my sister’s. Perhaps it was less a pact and more a reaction to being trussed-up in matching outfits as babies. Parents of twins usually have the good sense to buy two of everything. We had matching baby-grows, leggings, teeny-weeny sweatshirts, puffy jackets and Forever Friends pyjamas. But things changed when we were 7. One of my favourite family photographs was taken when my parents were going to a black-tie dinner. Dad’s in a tux, mum’s in a sleeveless black evening gown, and Emma and I are in pyjamas—a silky nightie for me and a mangy T-shirt with dalmatians on the front for Emma. A few years later, we started modelling our clothes on famous pop-culture duos of the time. Betty and Veronica from the Archie comic series was a favourite, and, naturally, Mary-Kate and Ashley Olsen were the mothership. I had scrapbooks dedicated to what I like to call Mary-Kate’s tarot card reader phase when she wore three scarves draped down her tiny frame and enough jewellery around her wrists and neck to fill a treasure chest. Emma prefers Ashley’s wardrobe of oversized shirts and sleek A-line skirts. When I asked what she liked about her clothes, she said it was that they were plain.